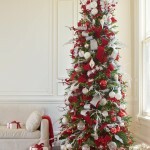 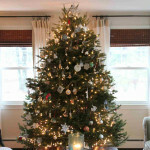 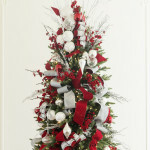 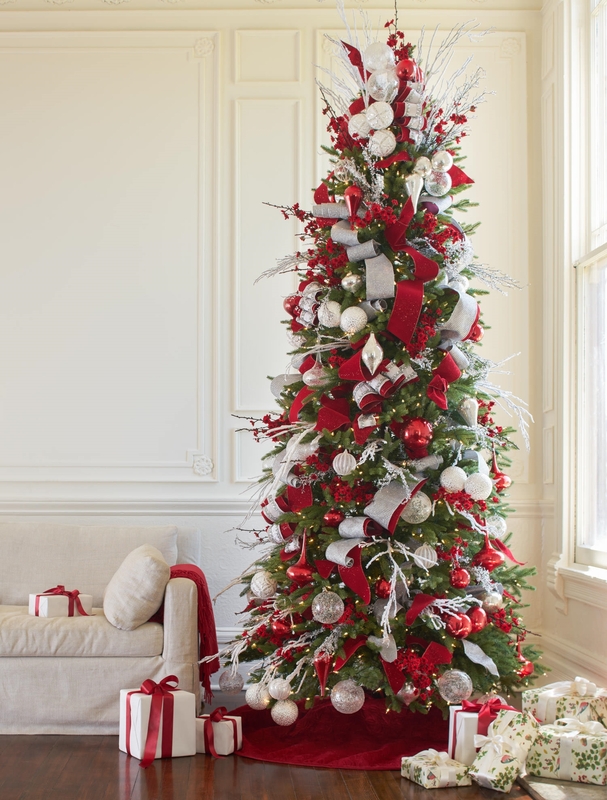 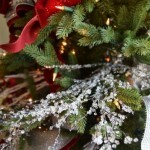 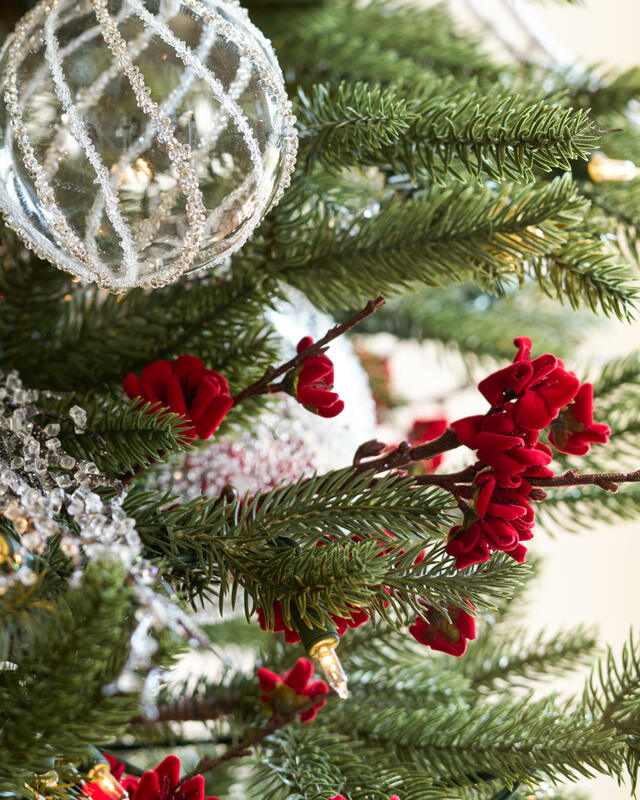 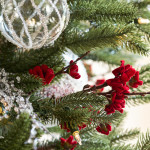 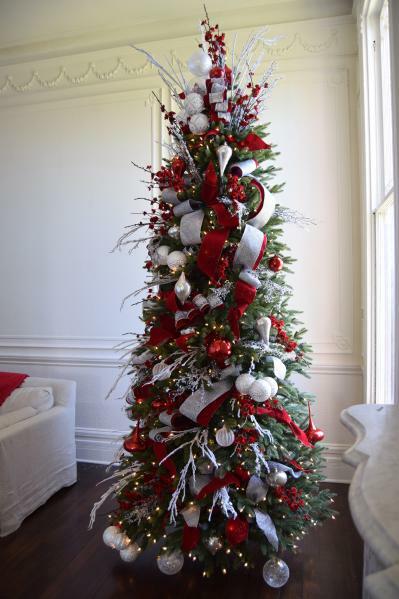 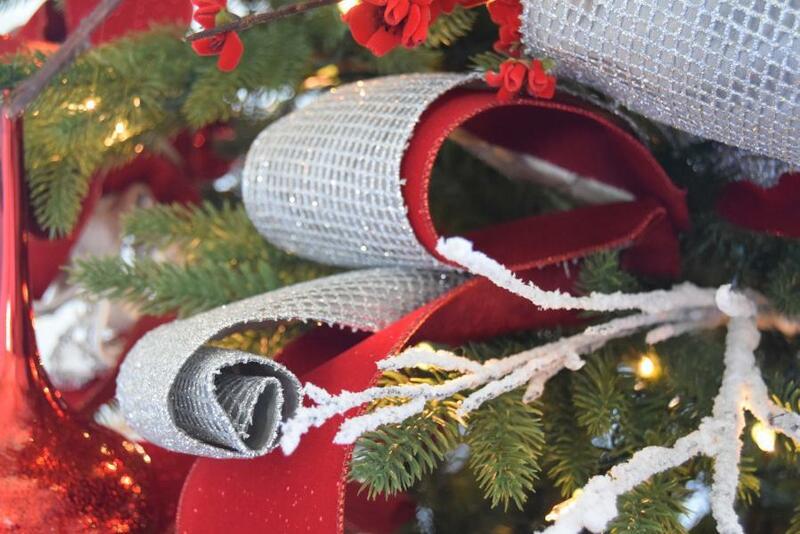 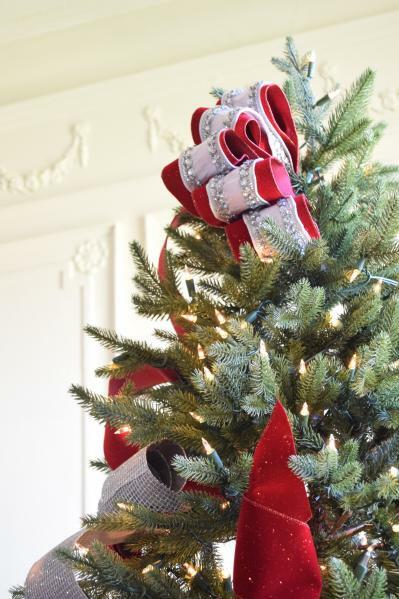 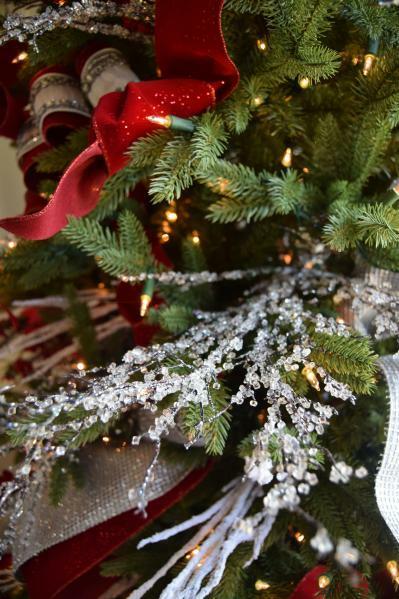 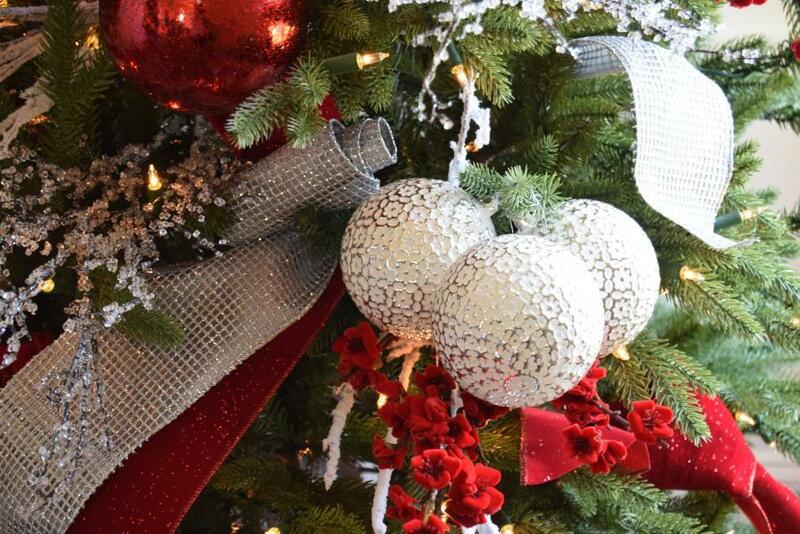 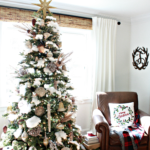 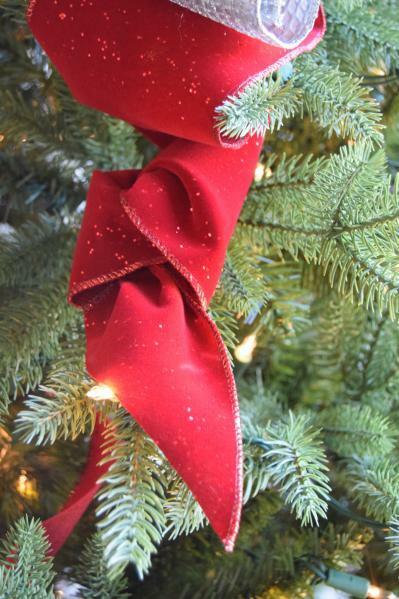 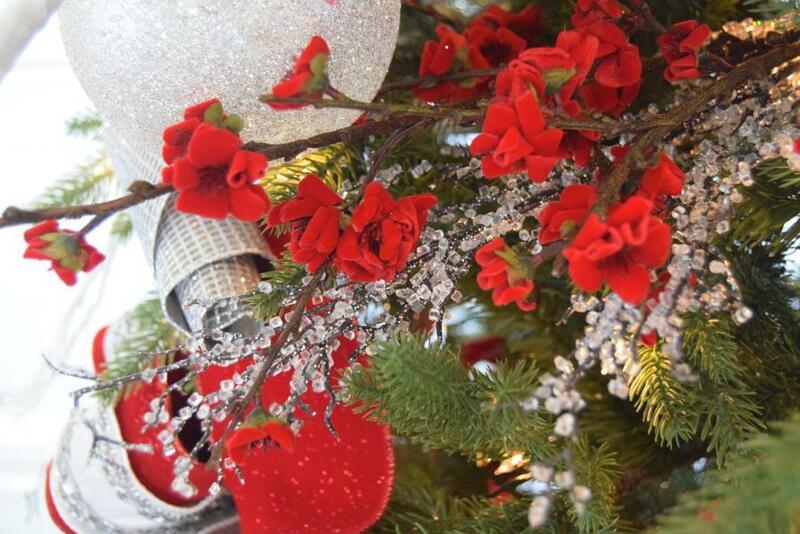 What Balsam Hill tree did you decorate for this theme and how did you start decorating it? 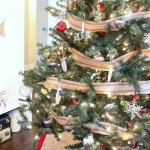 For this theme, I decorated the Silverado Slim. 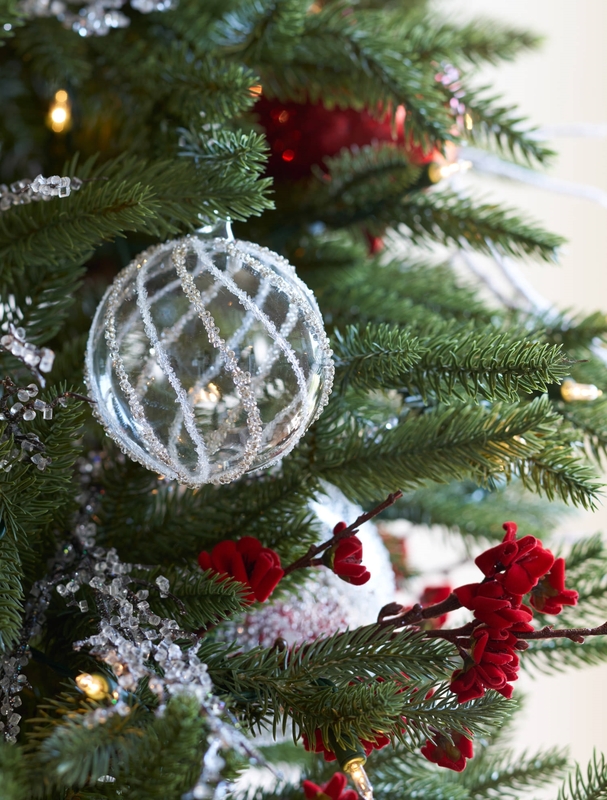 One of my favorite techniques when decorating trees is to start arranging ornaments and embellishments from the top going downwards. 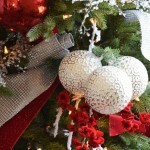 What mix of ornaments was used? 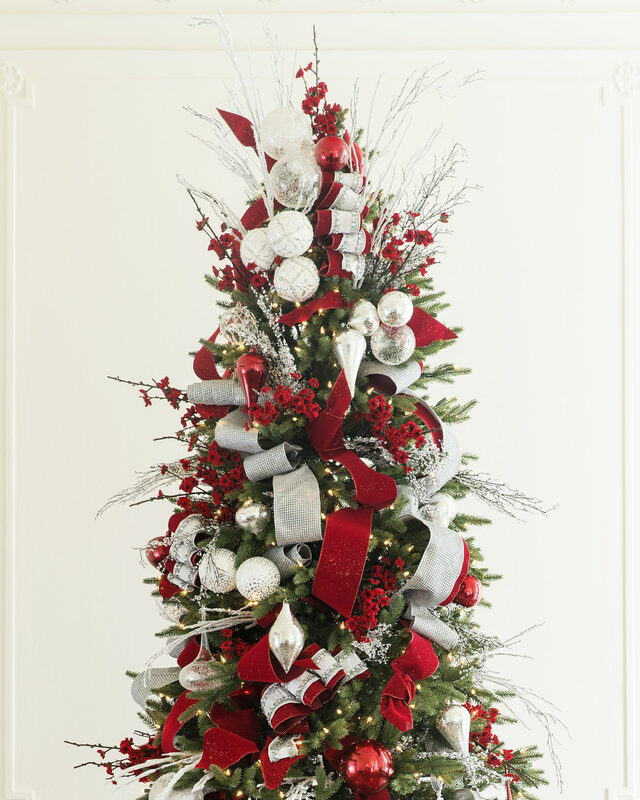 The Red, White and Sparkle Ornament Set was perfect for this theme, with its combination of different textures and shapes, in a classic color palette of red, silver, and white. 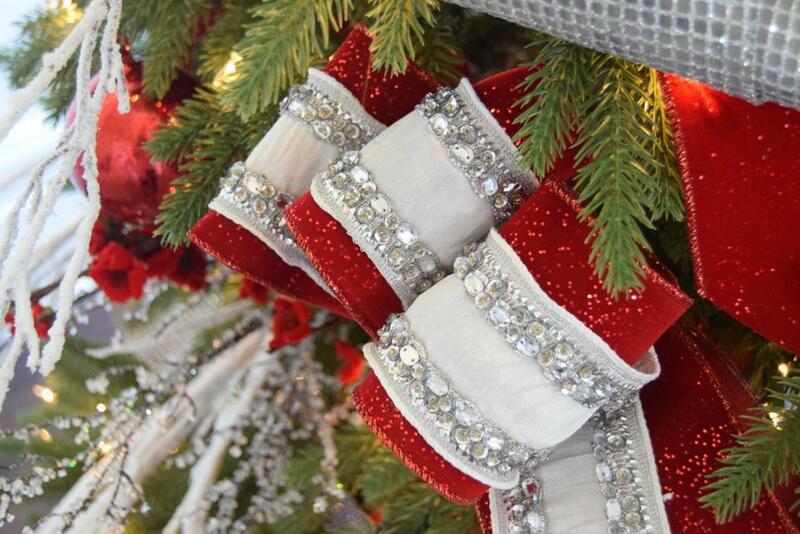 What embellishments did you add and what did you like most about them? 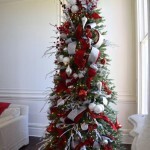 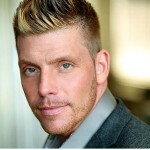 I loved how well the accents complemented the color scheme. 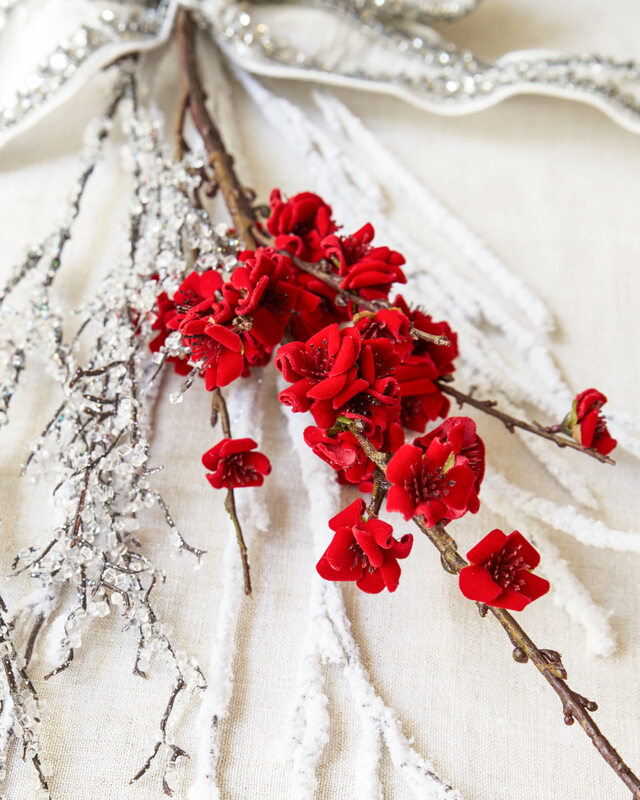 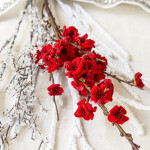 The Velvet Plum Blossom Picks, Iced Glitter Twig Picks, and Snowy Branch Picks worked beautifully, and also acted as filler wherever I noticed any areas that needed more decoration. 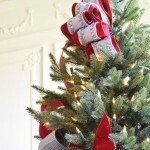 Were there any special techniques you used to pull off the distinctive look of the ribbons you used? 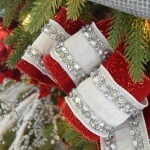 I first layered two ribbons together, placing the Silver White Dupioni ribbon with Jewels over the Red Velvet Glitter Ribbon. 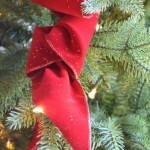 I then shaped them by forming 4 tight loops, which I tied with floral wire. 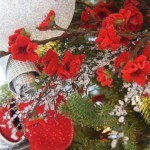 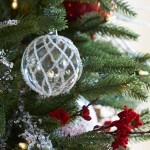 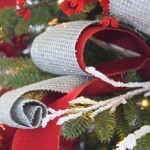 I secured a few more of these to the tree and added swaths of Platinum Mesh Ribbon for an eye-catching rippling effect.